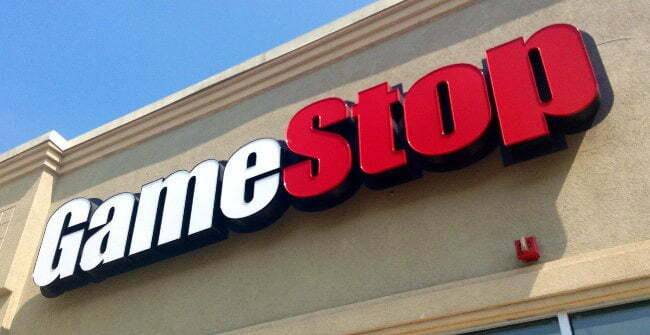 Want to get the most bang for your buck at Gamestop? Check out our top tricks for trading in! It’s no secret that GameStop is kind of a rip-off when it comes to trading in used games. They offer you way less than your game is worth and then turn around and sell it for double or even triple what they paid you. You have two options for compensation when trading in your game: receive store credit, which is good at any GameStop-associated location or website, or receive a cash payout that is a smaller value than the store credit. As an example, Bloodborne released just a couple weeks ago, and GameStop will currently offer you $27 in-store credit or $21.60 in cash for your used copy. If you are a member of their PowerUp Rewards program, they’ll give you $29.70 in-store credit and $23.76 cash. And to purchase said used copies? You’re going to pay $54.99, or, if you’re a PowerUp Rewards member, you’ll pay $49.99 (new copies are still at $59.99). Provided that your game is in good condition, you can probably make most of the current retail value by selling it on eBay or Amazon, although online marketplaces can be difficult, as consumers often look for established sellers with high ratings. Lack of seller recognition increases your risk, as the longer you try and sell your games, the more their value decreases and the less you get back on your investment. If you’ve decided you’d rather take the quick road and unload your games at GameStop (or your own local equivalent), I have a few tips you can employ to help get you the biggest gaming bang for your buck. Every so often, usually around the time a new console is released, GameStop will offer additional trade-in credit for your old systems if you trade them towards a new system. If you aren’t too sentimental about your old machines and are looking to get the latest and greatest console, take advantage of these trade-in bonuses when they come up. 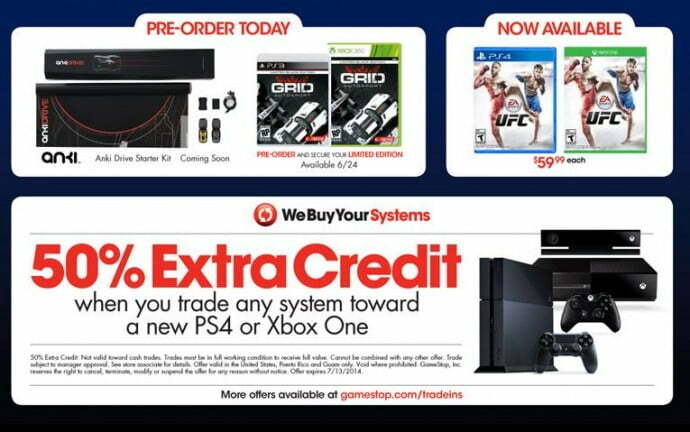 At the time of this writing, GameStop is offering $175 for your old PS3 (120GB+) or Xbox 360 (250GB+) when you trade it towards a PS4. That’s more than double what they normally offer for those consoles, and if you’re looking to pick up a new PS4, that will significantly cut down on your cost. This is a great time to unload a lot of the old games you don’t want taking up space on your shelves anymore, but really aren’t worth that much. This is also a good chance to trade-in old accessories or consoles, as there generally aren’t restrictions put on what console-family the deal applies to. These opportunities usually happen once around summertime and again later in the year. 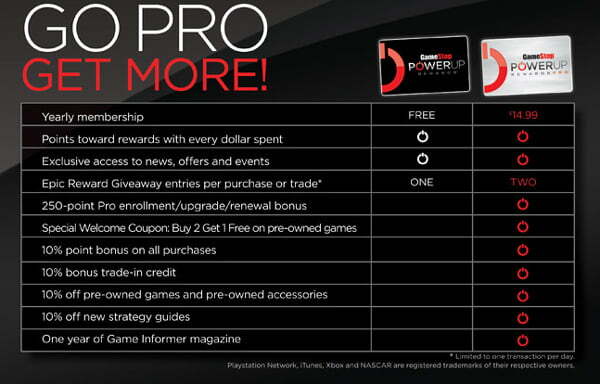 A breakdown of the benefits of the PowerUp Rewards program. At $14.99 for a year’s membership – which also gets you a subscription to Game Informer – the PowerUp Rewards program is a good deal for those who do a lot of used game shopping and trading at GameStop. While you can always purchase the membership, there is another way to obtain it. When you do a massive trade-in, say during a double credit or console bonus time, you can get enough credit to earn a PowerUp Rewards membership. Since you won’t have to pay for it, it’s a good way to go if you’re thinking about a membership but are unsure if you really want it, provided you have a lot of product to trade. You can then use your membership to earn additional points by completing online activities, later redeeming those points towards coupons or other bonuses. Thanks for reading, and good luck gaming the system!